The Defending Pokemon is covered in sticky glue and Burned. 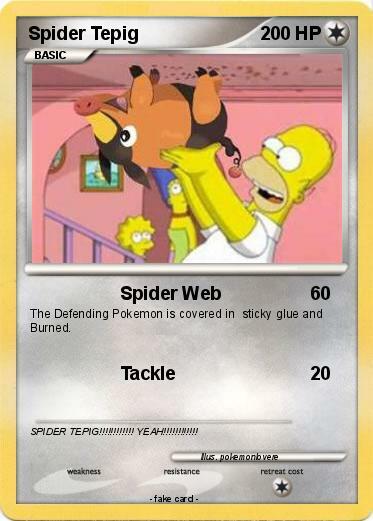 Comments : SPIDER TEPIG!!!!!!!!!!!! YEAH!!!!!!!!!!! !